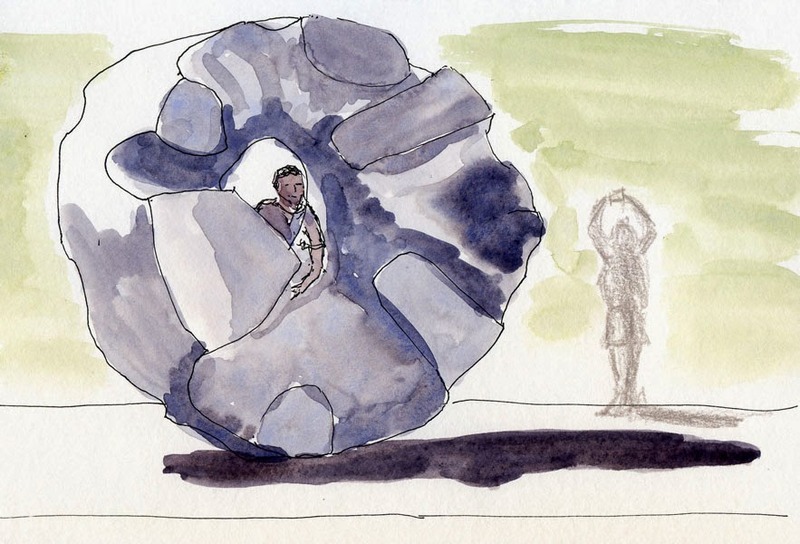 Next I sketched Black Sun, Isamu Noguchi’s elegant “donut” sculpture, which is another favorite Kodak moment. If a photographer stands in just the right place, the Space Needle can be framed perfectly inside the donut hole (Google “space needle noguchi black sun” and you’ll see hundreds of images). Visitors can’t resist trying to frame both the Needle and a loved one in the hole. This time I wasn’t disappointed. 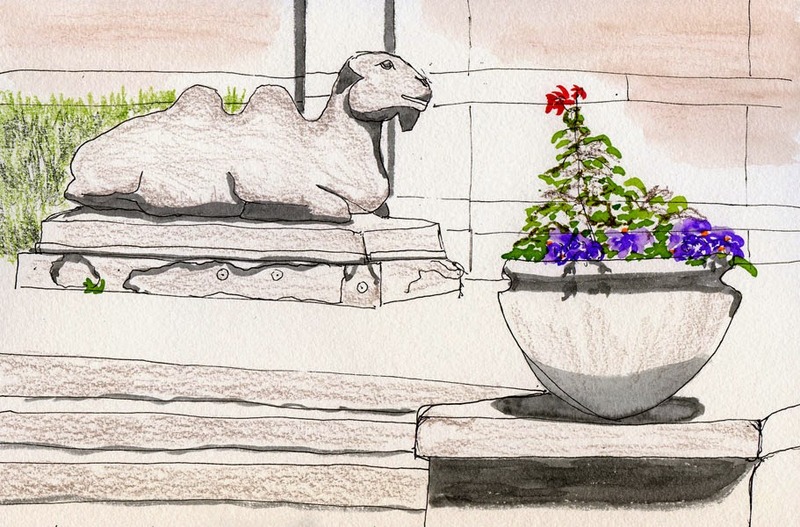 I just started sketching the sculpture, and eventually a man came by and put himself in the hole. Behind him, another tourist took photos of the Needle. Interesting sculptures and sketches of them, Tina. Love the flowers in the first sketch.